Well hello! 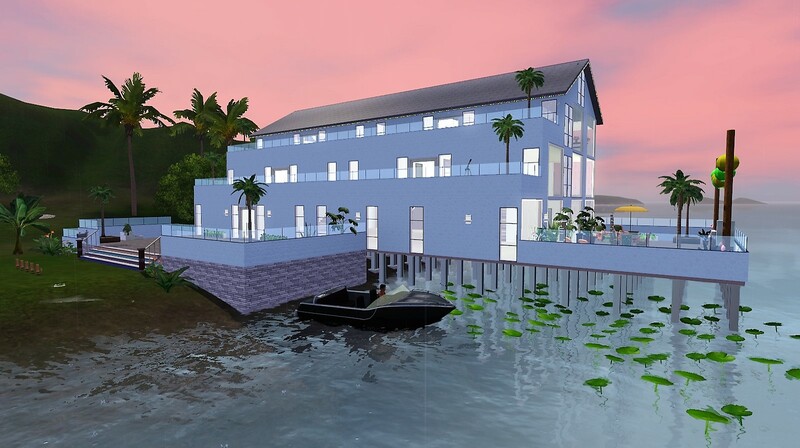 Before I abandon Sims 3 Ship, I decided to give it a shot… here’s what happened! Fun fact, the first 7 screen shots were over a year old… so here we go. Our TH Oscar is asleep. 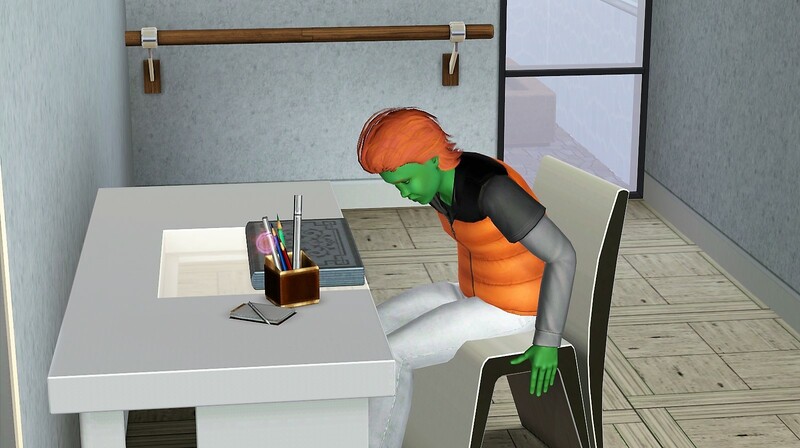 For the next 9 lag-filled Sim Hours. Natalie has just gotten out of bed and is VERY happy about it. I’d forgotten how much I liked this house of theirs. Owen is making some sort of cringe-y face. 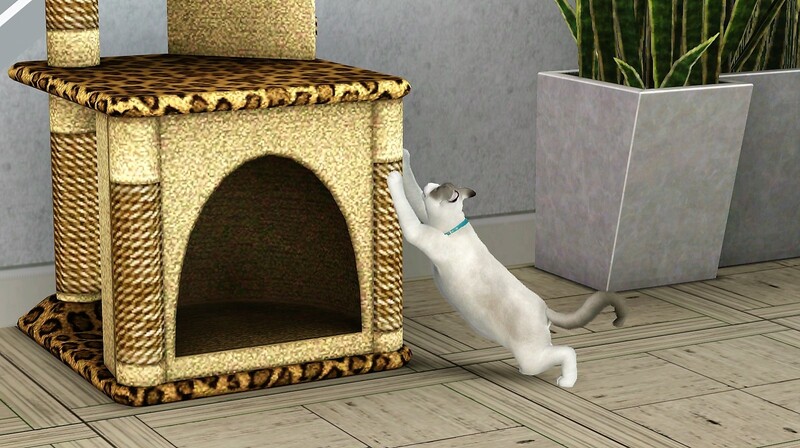 The cat Ferdinand is using the scratching post. I swear I didn’t completely forget about him or anything. That’s pretty much it, since Rajan is off at work. 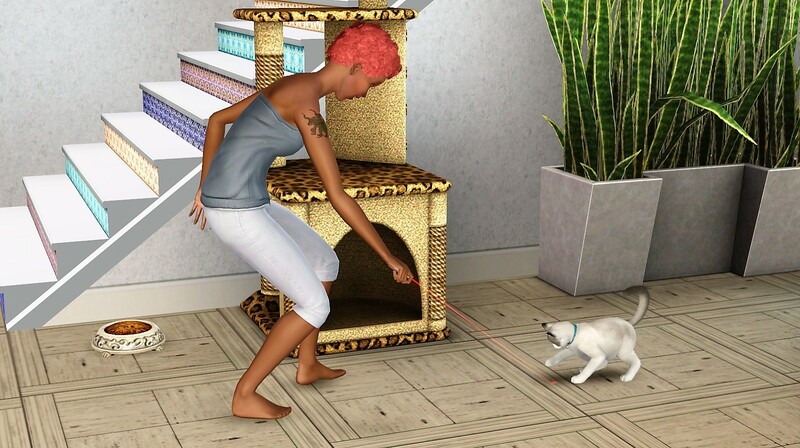 Let’s follow Natalie around while I wait for Oscar to wake up. 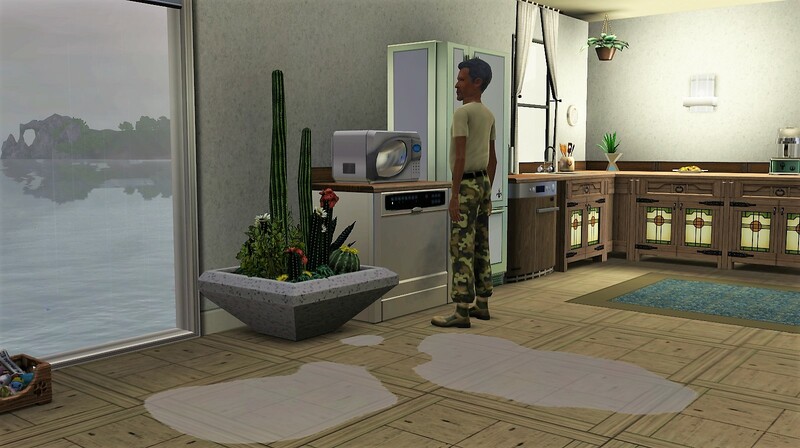 Oh look, dirty dishes on the floor. 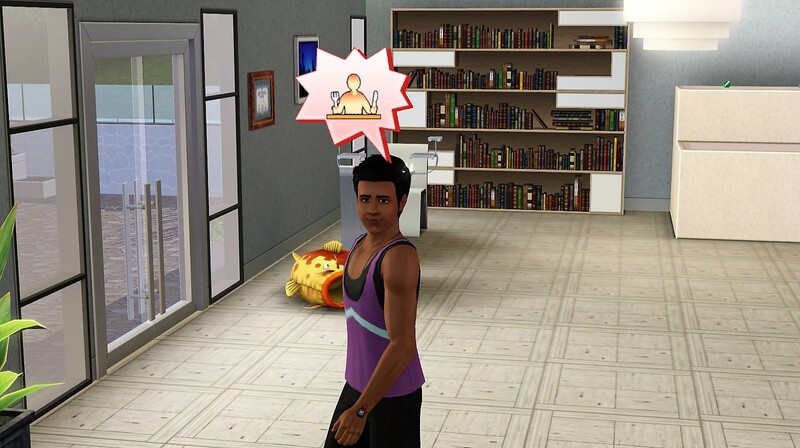 Rajan is off work now. Isn’t this post riveting? 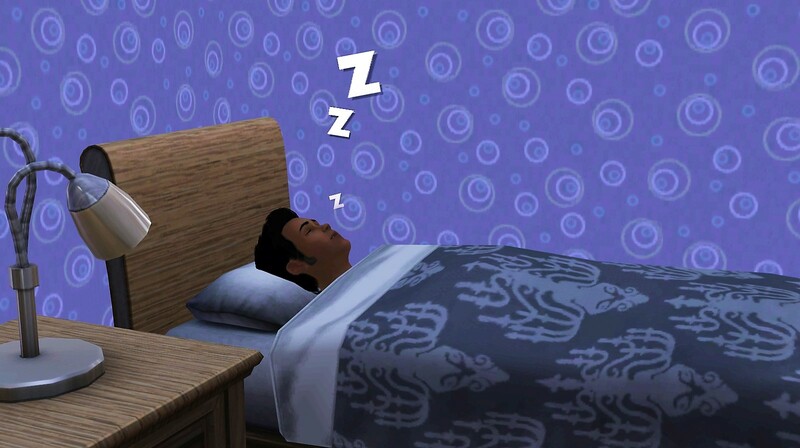 Aren’t you riveted? And now, in the real world, I manage to load the game for the first time in a year. I don’t even remember how to put the walls down or take a picture, ha ha ha. I *did* wait until she finished showering to attempt this photo. You’re welcome. 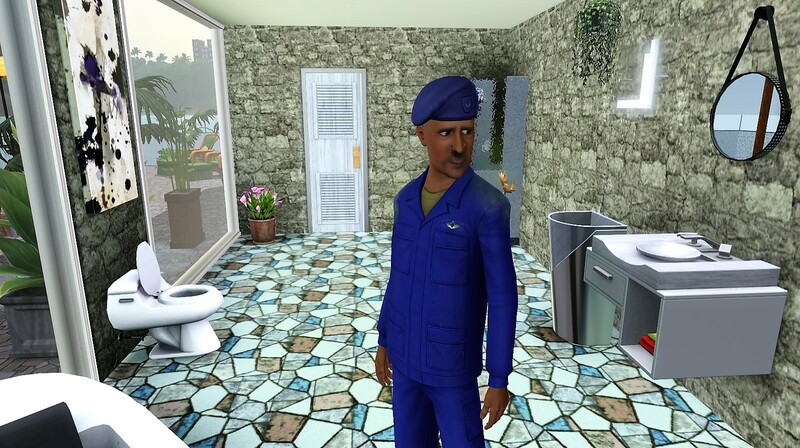 Here we have Rajan stinking up the place in what I *do* remember being my favorite bathroom. Like ever. 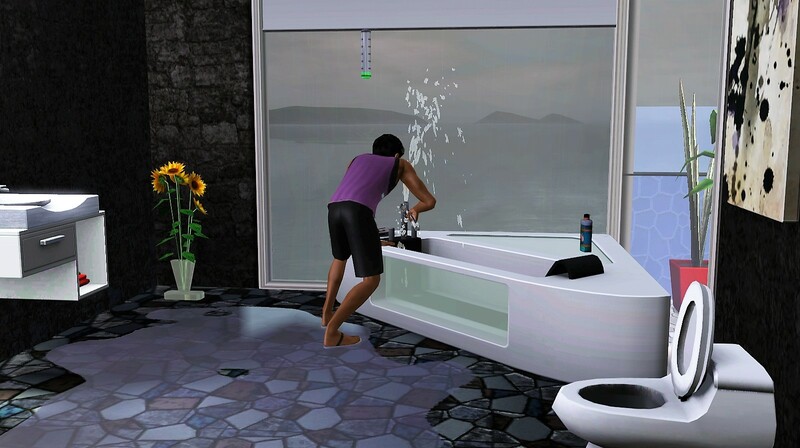 I’d love a bathroom like that. Oh look! He’s taking care of his needs! 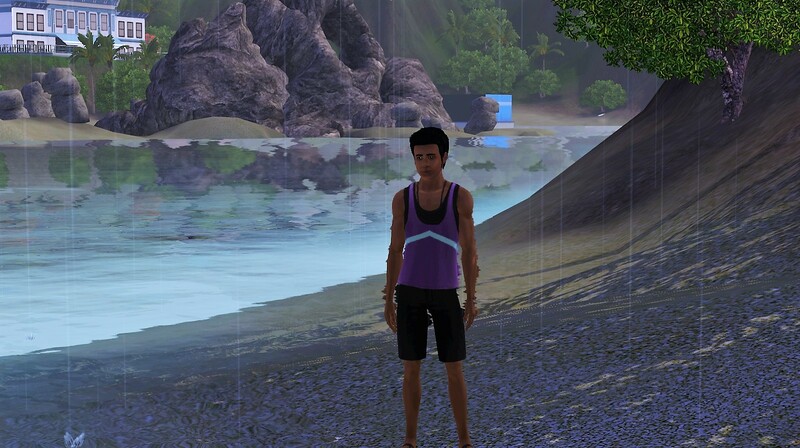 Apparently Owen did something wrong, as he is being scolded for something in the rain. Hey dude I can control? You awake yet? 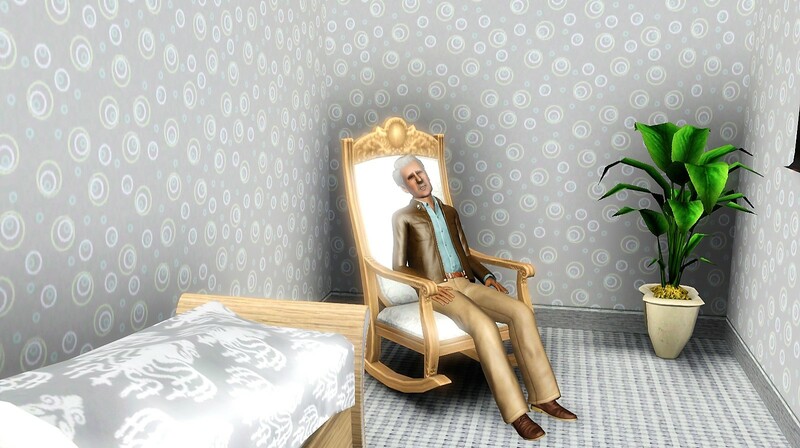 Oh yeah… I’d completely forgotten about old sim obsession with the rocking chair. How painfully the memories return. Nice job, Owen. Thanks a lot. I barely remember your existence but I can tell I do not like you. Alright!! 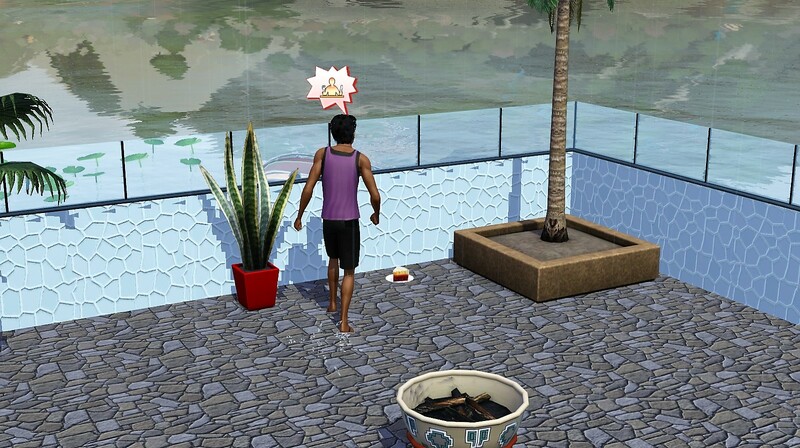 Drenched patio floor cake! Not as good as you were hoping? Enough cake, time to work on that LTW! 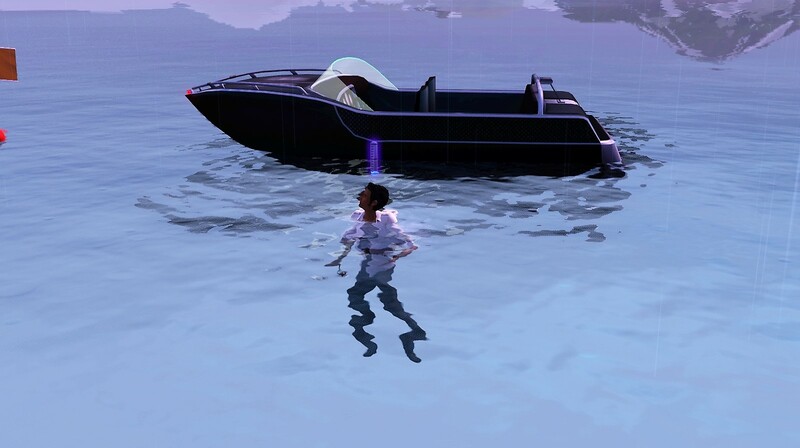 I took like 3 irl minutes for Oscar to get going in the boat, only for the full moon to come, cause him to “freak out” which made him go to land. I remembered to turn it off… but the delay was annoying. 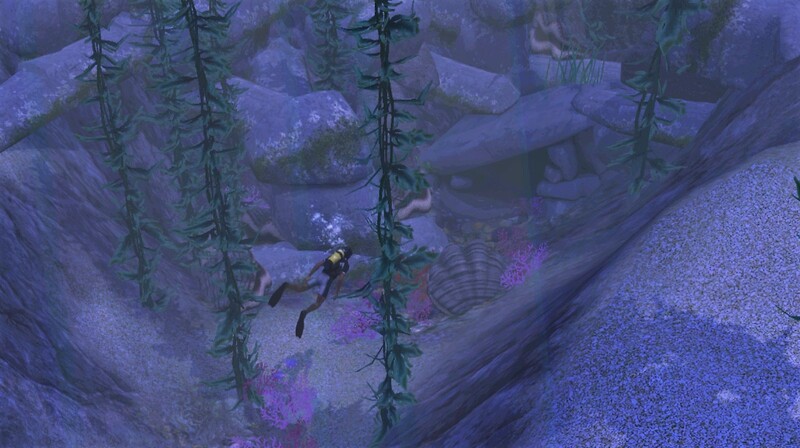 I do love how gorgeous the world is underwater. I’ve never seen them in the water, only on land. 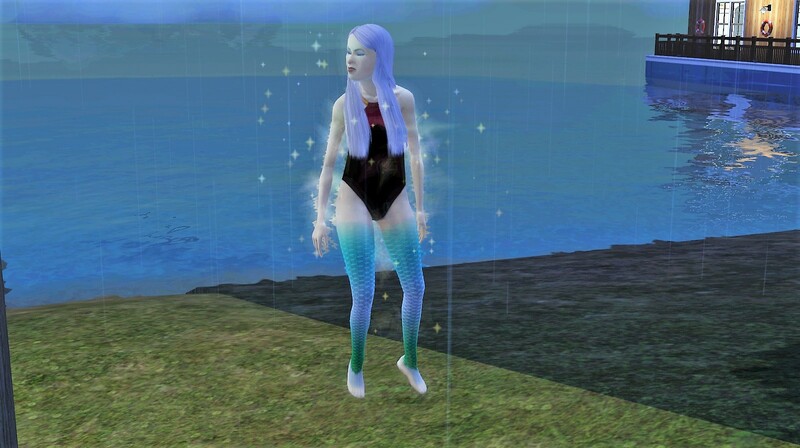 So I’m no expert, but I think those are the wrong legs/tail there, mermaid. 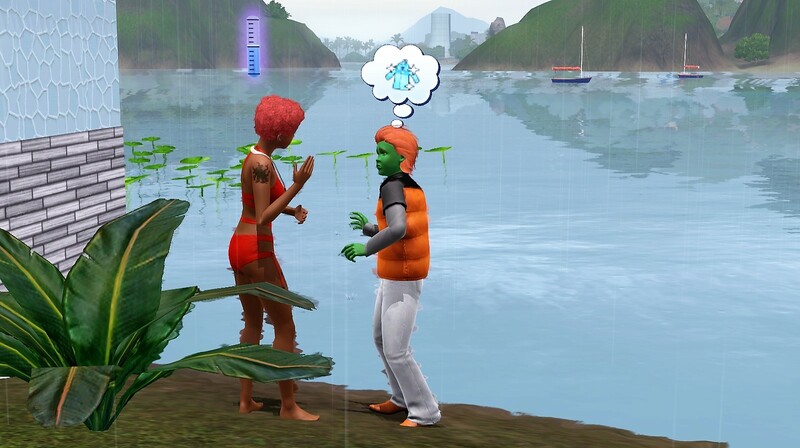 She heartfarted him and swam over to talk about Kale recipes. I spot a cave and attempt to explore it. I’m sure it will glitch. Yup. Fastest thing the game has done in a year. 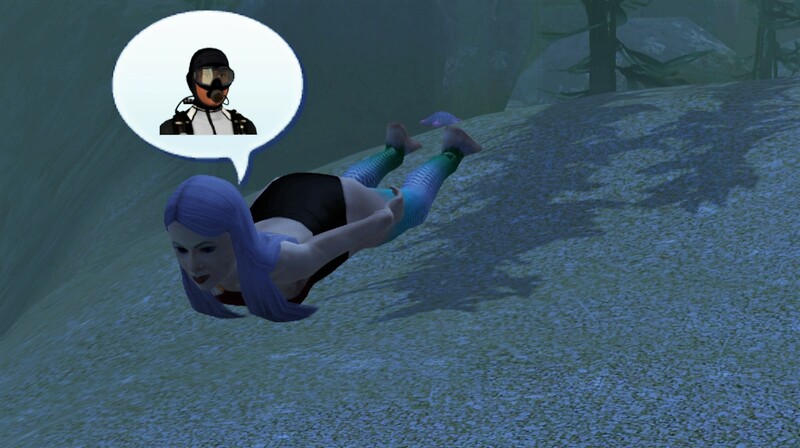 Before we could head off to the karaoke joint, the mermaid with no tail managed to beach herself and die real quick. Okay then. You do you. Scouting for females, I spot this fashion train wreck. Ha ha ha ha ha ha ha haha hah ahahhahahahaha! Wth? One of the worse I’ve ever seen. OSCAR! GO SAY HI RIGHT NOW. 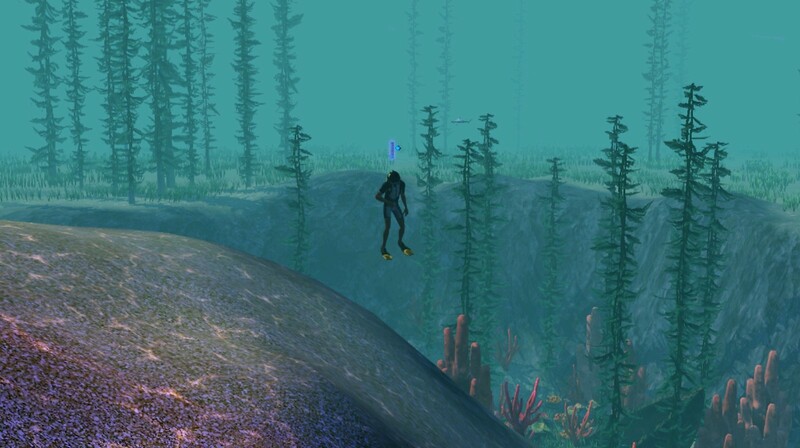 I chased her all over the island only to discover she “lives” here. Well, Oscar will just have to have a quick date with his mailbox, if you catch my drift, and invite her over. 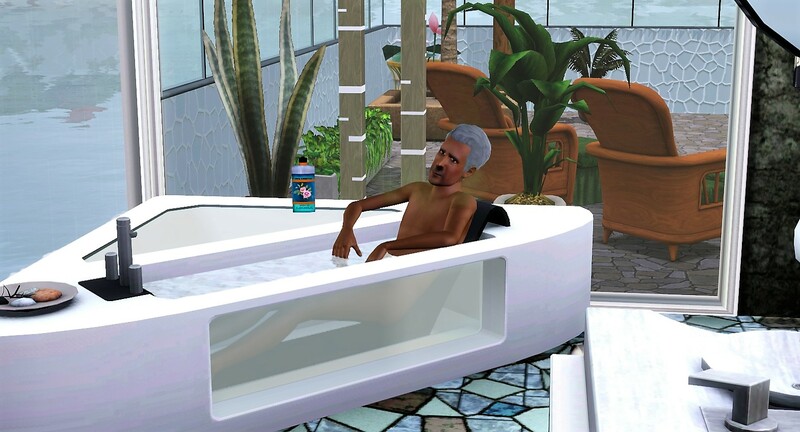 I discover it’s not a reasonable time of day to make a phone call, so I put him to work repairing the tub. Then Rajan broke the dishwasher. Her name is Miriam Samuels. 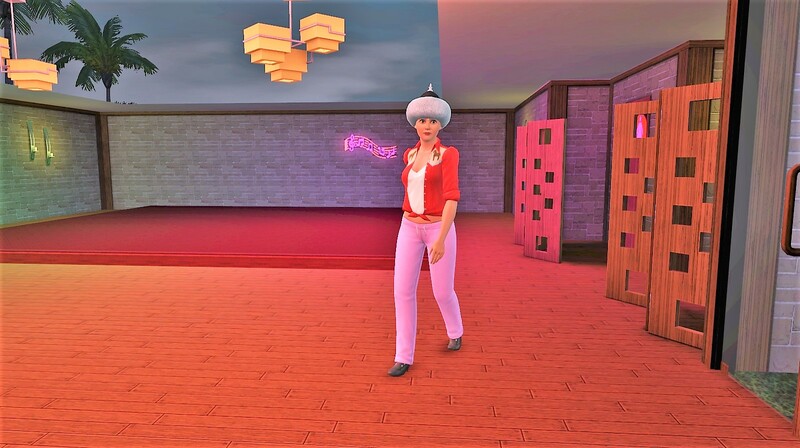 She’s a clumsy, bookworm, night owl, virtuoso who likes island music (appropriate), macaroni and cheese and the color aqua. I think she’s beautiful. 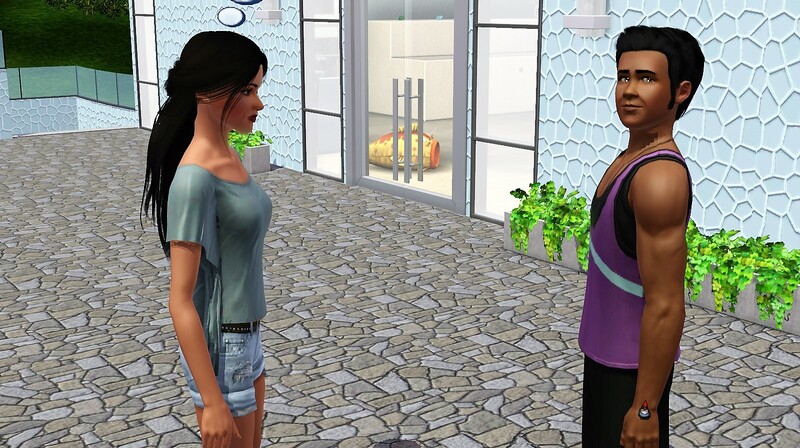 The game is barely running and they stand there staring at each other for 4 sim hours. World destruction and all that. 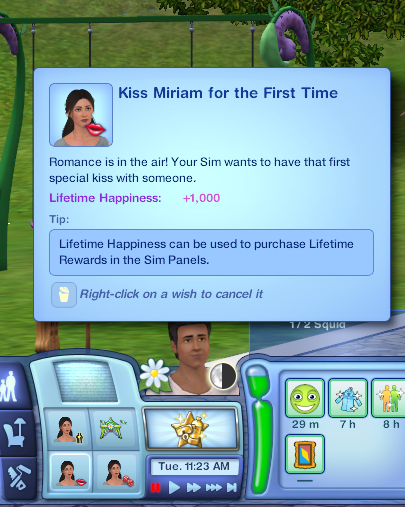 Whatever, I adore Miriam (which was my grandmother’s name, by the way – fun fact)… so FALL IN LOVE. 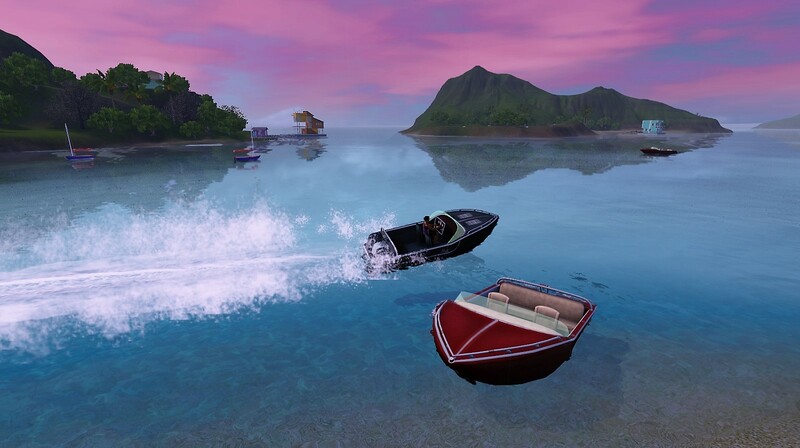 Aaaaannnd… then she hopped off in her boat, partially rendered, in the middle of the date. The game is barely functional. 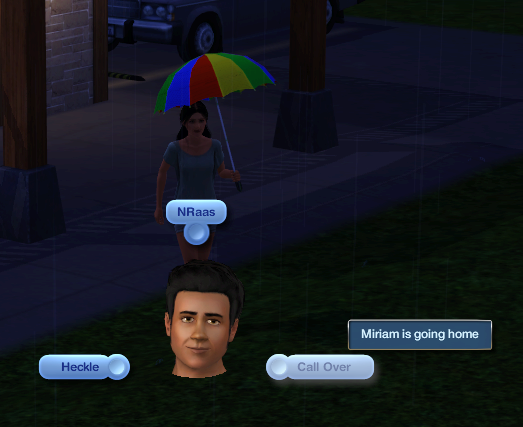 Took more than 10 real life minutes to save and close… But Oscar met Miriam and I adore her… I might try to move just the two of them to a new world…. 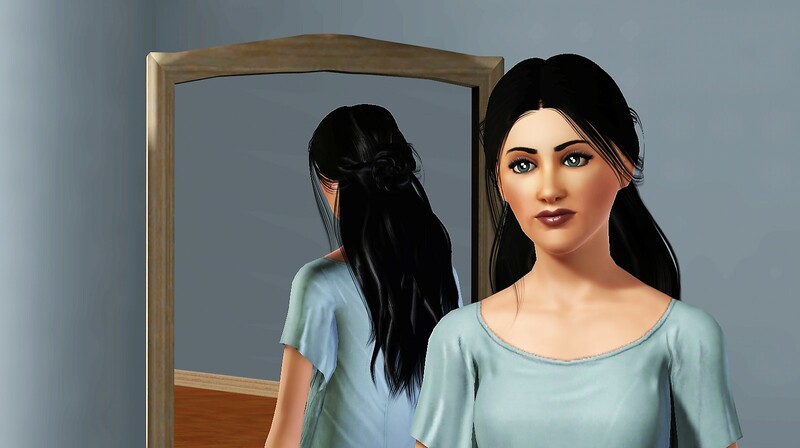 Cheat her into the household… See if it works any better… I doubt I’ll be able to recreate them in a way that pleases me in TS4… so I’m still on the fence about that one! But for now! A real (albeit short) update! Woohoo! 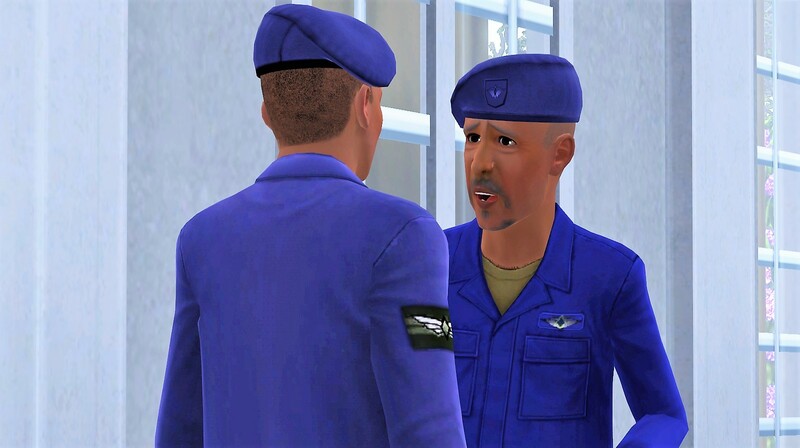 This entry was posted in Generation 15 - O and tagged Alphabetcy, I'm Surrounded By Idiots, ISBI, The Sims 3, Zale Legacy on 08/03/2018 by Heather. Yay Zales! Oscar may have questionable taste in breakfast foods but he has fantastic taste in women. They make such a great couple! Woot, Zales are back! 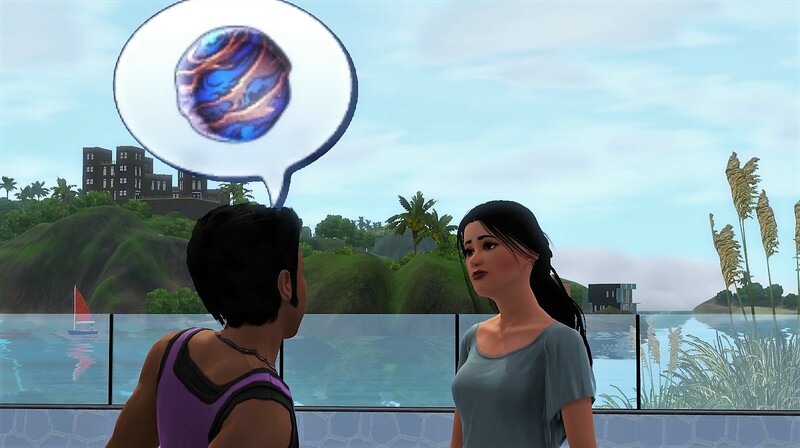 Hoping that moving just the two of them to a new world will help, IP is notoriously laggy, I can’t play it for more than a few sim weeks with a brand new save, let alone a legacy one! Miriam is so adorable, great scalpel-ing! 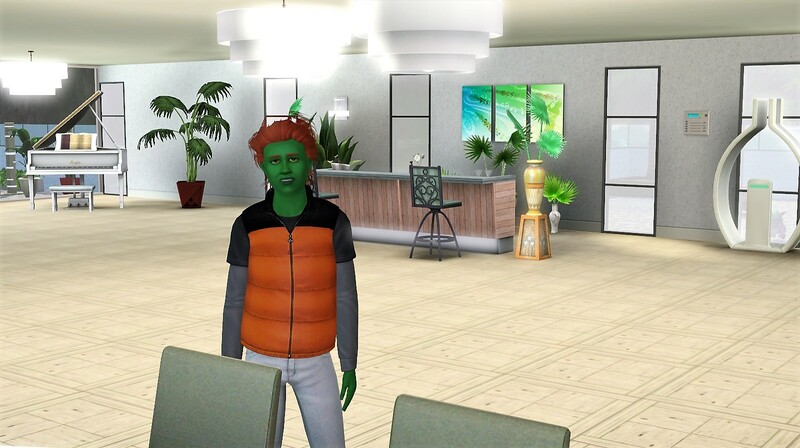 yeah this is what happened with sims 3 for me. Its so unplayable.I kept putting off dropping it because I had bought things from the store I hadn’t even used yet and I felt bad but it was no fun. My computer died and had to be completely wiped….and that was that because it was not worth the forever it would take to reinstall lol. Glad you managed to play your game a little! 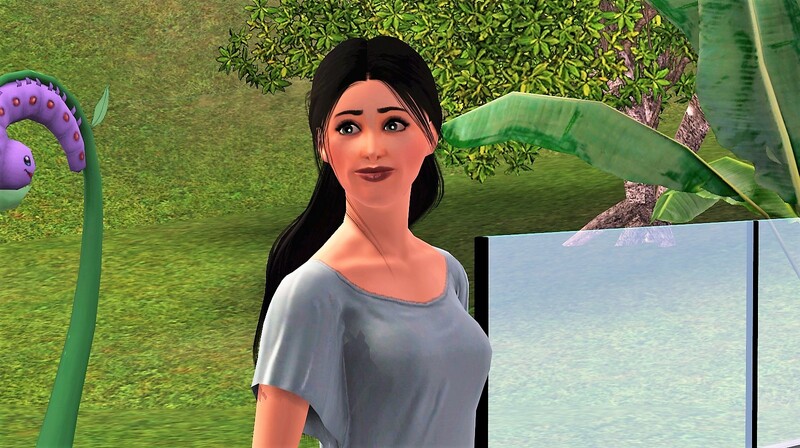 Miriam looks great after her makeover 🙂 But, yeah, Isla Paradiso is one big glitch knot. Omg first time I check wordpress in forever and I see Zales chapters. Happy day! I’m going to keep reading haha. New to the Zales? Click here to start at the very beginning! 55,718 Gnome of the Wrist tattoos have been inked. Shades of their journey await! This Game Just Got a Lot More Interesting. A Rainbowcy with a naming twist. Could you survive the maddness? GREENWOODS! 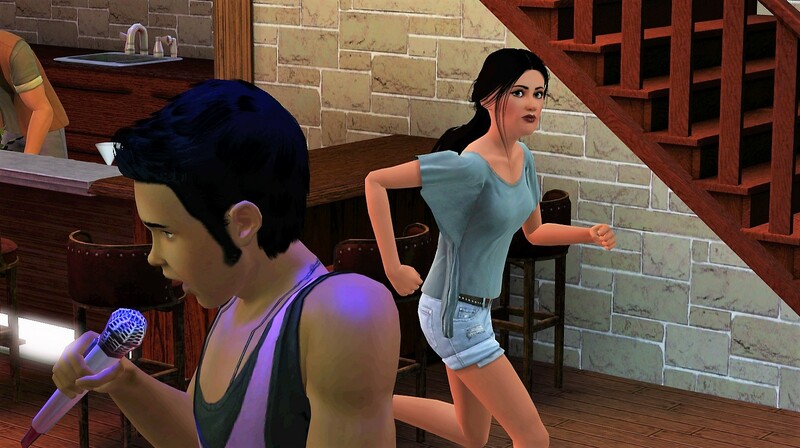 Getcha head in the game!